This week I have several photos, but the first one is the winner. 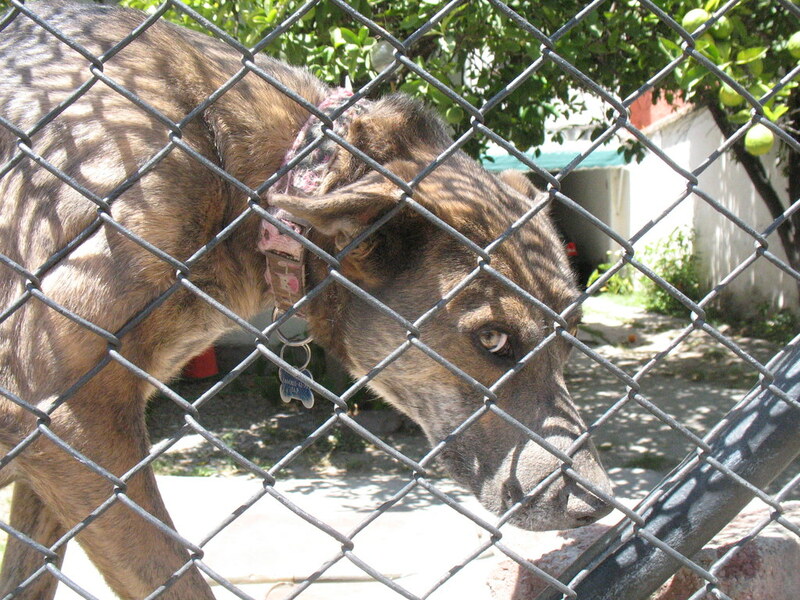 This dog lives several doors down from our house in San Luis Potosí. He’s always outside. He barks angrily at everyone who goes past, but I made him into a friend and now he’s nice to me. As I approach he hops up so I can pet him through the fence. Sometimes I bring treats. I don’t know his name, so I just call him mi perro favorito. 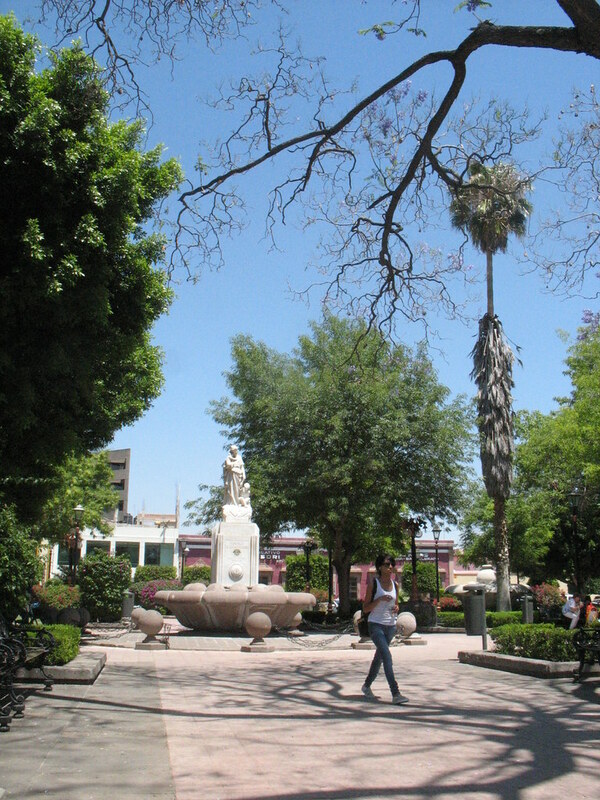 Jardín Tequisquiapam. Photo by André. The park is only 3 blocks from our house and it has some of the best street food in the evening. The monument is of a woman with two niños and the inscription reads, Homage to the Being Most Beloved, so you can guess who it’s of. I’m not sure why the park is Tequisquiapam and not Tequisquiapan, which is how most Nahuatl place names end. But I’ve seen it spelled the other way in places, so it may simply be regional. The monument was built by the Lion’s Club. At the edge of the park is the Centro Educativo de Montessori—a Montessori school—and two coffee shops. So to all the people who say “Mexico is dangerous,” I present Exhibit A. If I could I would! Photo by André. And this is why I don’t have a dog of my own. Taking these photos has proved to be a challenge; it’s just not my instinct to whip out a camera everywhere I go. And you need to take a lot of pictures to get a few good ones. However, I have learned that the camera allows me to talk to strangers, asking them if I can take their picture and then making small talk. 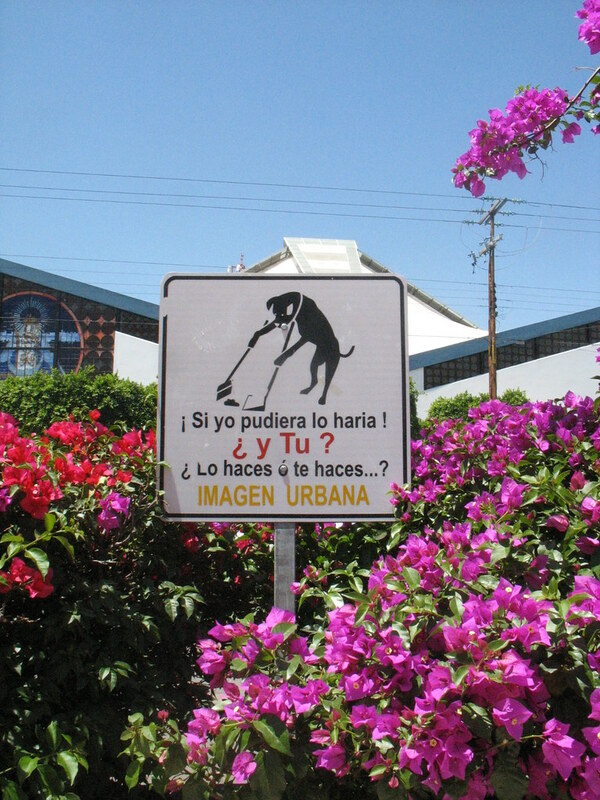 That gives me more Spanish practice, and more photo opportunities, so for now at least I’ll keep it up. What questions do you have about San Luis Potosí? Let me know and I’ll do my best to answer! → How do you practice for a heroic life? When can I move there? Tomorrow. Mexico has great expat benefits for retirees, the city is safe and has good health care, you don’t need a car here, (walkable plus cheap taxis), and the cost of living is comparable to where you are now if not cheaper.